**Disclosure: This is a paid campaign in partnership with Paul Mitchell. As we enter the holiday season, we all get fuzzy and warm and filled with the giving spirit. I love this time of year and am always so touched to see the giving spirit in full swing! This holiday season, Paul Mitchell is celebrating their commitment to live beautifully by giving, because that's their style! Whether that means taking steps toward sustainability, helping families in need or supporting undeserved kids, Paul Mitchell believes in doing good for people, animals and our planet. This giving campaign could not be any easier, which makes for no reason for you not to join in! 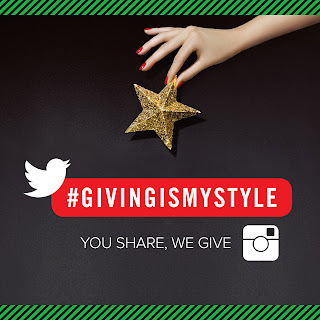 Join their global family and share why or how you give back on Instagram or Twitter with #GivingIsMyStyle, and they will donate $1 to one of their favorite charities on your behalf!